SOLVANG, Calif., February 5, 2015 – Realty411, a California-based real estate investment magazine and expo company serving the needs of real estate investors, is proud to announce that the Orange County Real Estate & Tech Expo in Newport Beach (http://OCRealEstateExpo.eventbrite.com) will benefit the Women’s Transitional Living Center. The Women’s Transitional Living Center (WTLC) is the oldest domestic violence shelter in the Orange County area and rumored to be the third oldest in the country. With the 40th anniversary of our services in 2016, WTLC is a non-profit organization dedicated to helping individuals and families escape the depths of domestic violence and exploitation. WTLC provides the tools and resources to build self-esteem and empower people for independent living. Their vision is to end the cycle of violence and exploitation through education and rehabilitation. WTLC links over 10,000 individuals to services annually and shelters over 1000. Specializing in populations of domestic violence survivors that are under-served in Orange County – emancipated youth, dual diagnosis victims (addiction/mental illness), human trafficking victims, transgender females, and re-entry victims coming out of the prison system, we provide a much needed support to residents and their families. Based in Santa Barbara County, Calif., Realty411 publishes online and print magazines, e-newsletters and produces expos and mixers around the United States. The company’s mission is to educate and empower people to invest in real estate to create a more secure retirement. 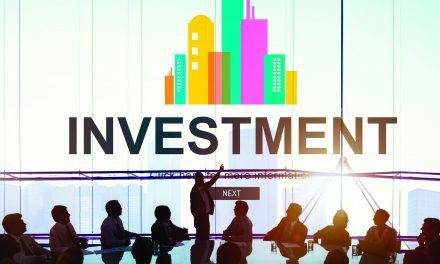 The independently-owned media, marketing and expo company is owned by a real estate investor and licensed California real estate sales agent and was developed in 2007. Pliagas, who has a bachelor’s degree in journalism from California State University, Long Beach, began the publication as a past-time to “give back” some of the tips she learned from her real estate mentors and colleagues. 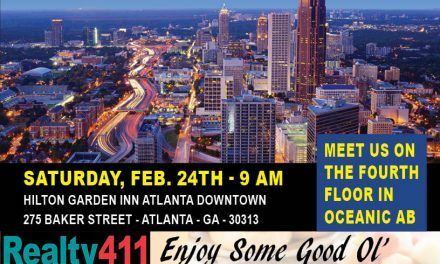 In addition to providing print and online publications, Realty411 hosts live complimentary expos, mixers and meetings so guests can network in person and mingle with industry leaders. * Learn How to Evaluate Property with the Home Replay, joining us from Ohio. * Discover streamlined transaction management for real estate agents from the Bay Area’s own Reesio, which provides CRM, Listing Syndication, and Offers Management for professionals. * Enjoy viewing REI Wealth Monthly, our fully-interactive digital developed for Apple enthusiasts. * Learn Many Real Estate Niches: Fix ‘n’ Flip, Wholesaling, Crowdfunding, Buy and Hold, Local Real Estate, Out of State, Private Lending, Commercial and Residential and MORE! The Mortgage Office, Sensei with Black Belt Investors, The Power Speakers, Gary O’Neill with Realty Consultants of America, Zinc Financial, Gary Geist with HomeReplay, Paul Fink, Los Angeles Investment Club, Kaaren Hall with uDirect IRA Services, Tony Watson of Robert Hall and Associates, Mark Thomas with Reesio, Dave Franeki CEO of Capstone Realty, Kathy Fettke with Real Wealth Network, Anthony Patrick CEO of New Harvest Ventures, Mark McKeller with HomeVestors of America, Randy Hughes “Mr. Land Trust”, Dave Linden from The Largest Mixer, RealtyRewards.com, Kenny Dewan with Monday One, SyndicationLawyers.com, Growth Equity Group, OC Real Estate Forum, Rich in Five, The Bottom Line, and Steven Kendis & Associates and more to come! The Women’s Transitional Living Center, Inc.
to (714) 992-0525 or email to gtsontos@wtlc.org. PreviousMeet Growth Equity Group – Celebrate REI Wealth Monthly's Cover Feature!